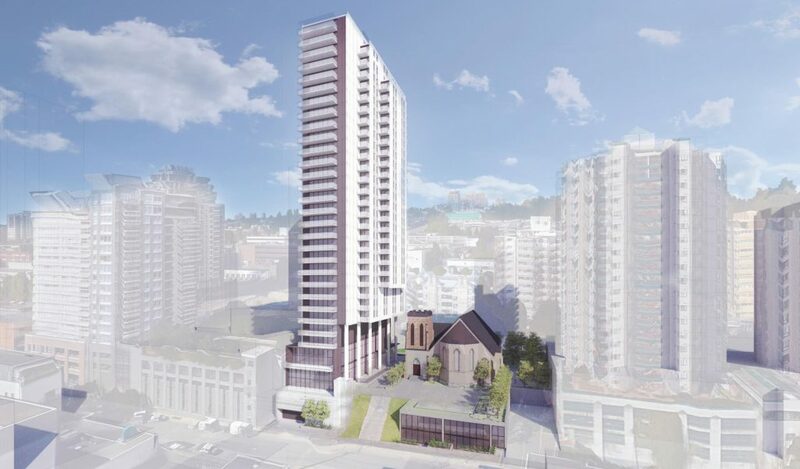 Five decades later, Richard is living out his calling as the recently appointed vicar of Holy Trinity Cathedral, an Anglican parish in New Westminster, British Columbia. In his role, Richard serves the spiritual needs of an urban, blue-collar congregation in one of Canada’s most secular and progressive communities. About his challenging task of guiding the development, Richard joked “No one taught this type of work in theological studies.” However, Richard is thankful for the life experiences that prepared him to lead this creative undertaking. After graduating from the University of Denver with a bachelor’s degree in French, German and secondary education, Richard took various jobs in retail and teaching foreign languages before being ordained in 1981 and serving in Denver for three years. In 1987, he received his master’s in liturgical studies from Notre Dame and moved to Vancouver with his wife, son and two cats for what he anticipated would be a three-year teaching position. While at Vancouver School of Theology, Richard completed his doctorate and helped to develop the first accredited master’s in divinity program in North America for people serving in indigenous communities. This work opened doors for Richard to travel to other parts of the world to develop and teach “dynamic cultural translations” that resonated with laity and clergy in diverse cultures. After 23 years teaching, Richard chose to return to congregational ministry as a rector at a church in Vancouver. 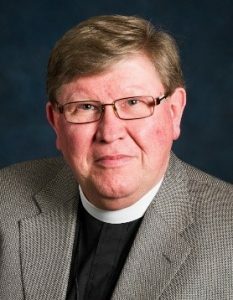 Before accepting the appointment to Holy Trinity in 2018, he had also served as member of the staff of the Anglican Church of Canada and a national committee member. Looking back on his path, Richard is amazed by the opportunities he has had to advance his own education and to faithfully and creatively engage with modern culture. He’s also never forgotten the gift of the Boettcher Scholarship, whose plaque he has displayed in every one of his offices for more than three decades. Richard noted that being a Boettcher Scholar impressed upon him a noblesse oblige, a responsibility to pay forward the gift he had received. The scholarship is also a reminder of the gratitude and joy he has found in following his vocation.